ARTURO DE FRIAS - WILDLIFE PHOTOGRAPHY: Orca !! Swimming in the Lemaire Channel, with its head raised above the surface, probably looking for seals. Pods of Orcas are not frequent but with a bit of luck they can be observed. 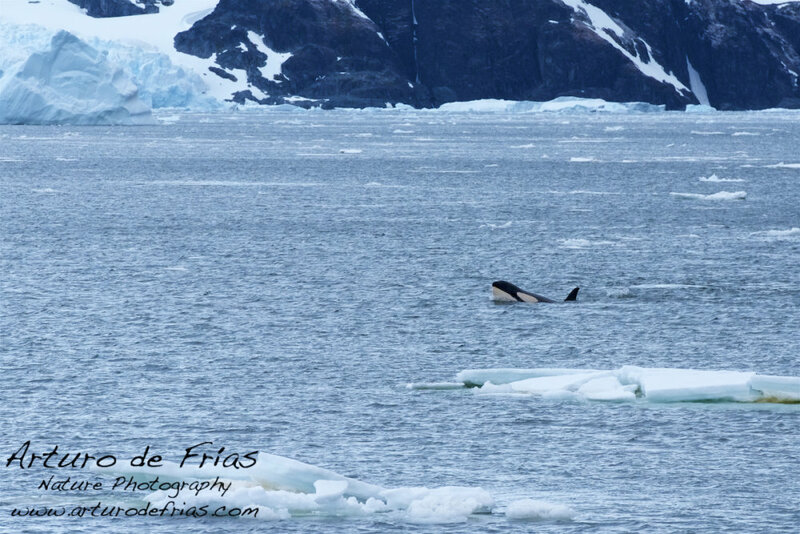 Paisaje antártico con cetáceo, esta vez con una orca (Orcinus orca) asomando la cabeza entre los bloques de hielo, probablemente buscando focas. Mientras las yubartas son muy comunes, las orcas son mucho mas escasas y se necesita un poco de suerte para verlas.